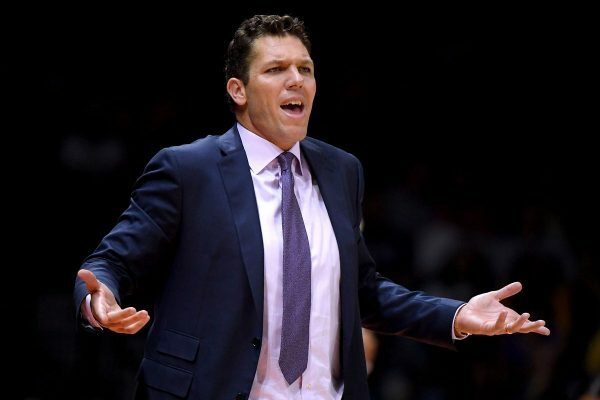 Los Angeles Lakers head coach Luke Walton was fined $15,000 on Wednesday for criticizing the NBA’s officials. The criticism came directly after the Lakers’ 143-142 loss to the San Antonio Spurs, making it their third consecutive loss to start the season. Los Angeles Lakers coach Luke Walton has been fined $15,000 for public comments on officiating Monday night. The Spurs went to the free-throw line 38 times compared to the Lakers’ 26 attempts from the charity stripe, despite the Lakers repeatedly attacking the paint via Josh Hart and newly acquired LeBron James. “I was going to save my money, but I just can’t anymore” Walton said before ripping the officiating. Walton certainly has a point in regards to Monday night’s loss to the Spurs. While players like LaMarcus Aldridge shot a whopping 18 free-throw attempts, but James and Hart combined for just 11, with Hart getting to the line 0 times. Lakers center JaVale McGee seemed to agree with his head coach’s assessment, though he seemed a bit worried about getting fined.